Need a quick, easy dinner? How about a meatball sub? 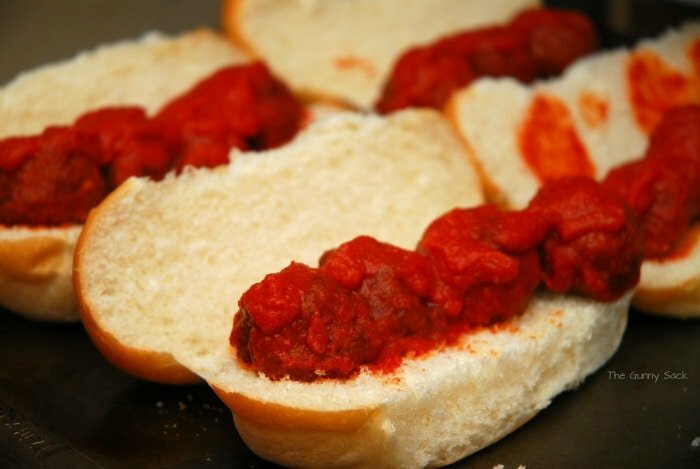 Instead of buying Subway, try making this Easy Copycat Subway Meatball Marinara sub. This meatball sub recipe uses premade, frozen meatballs so all you have to do is warm them up! How is your week going? Unfortunately, the flu is making its way through my house. My wonderful husband even came home from work early yesterday to take care of me. My inbox needs to be dealt with, work is piling up and the house is a mess! But I wanted to put up a quick post this morning anyway. I made meatball subs for dinner last month and had the pictures in a folder on my desktop. 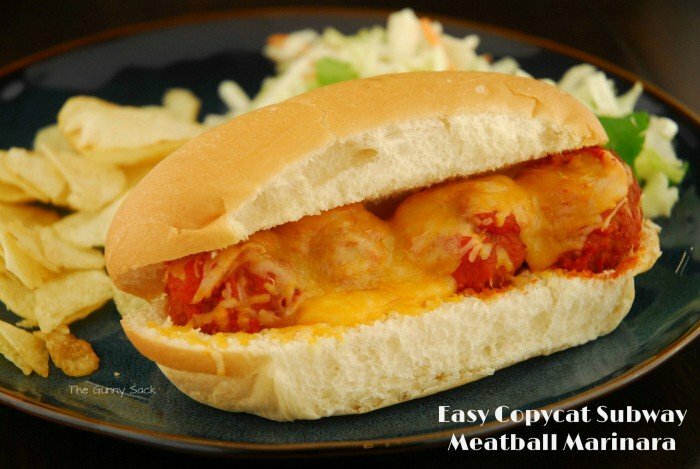 What I love about making these copycat Subway Meatball Marinara subs is that they are so easy! They are even something that can be made for a crowd if you prepare the meatballs and sauce ahead of time. 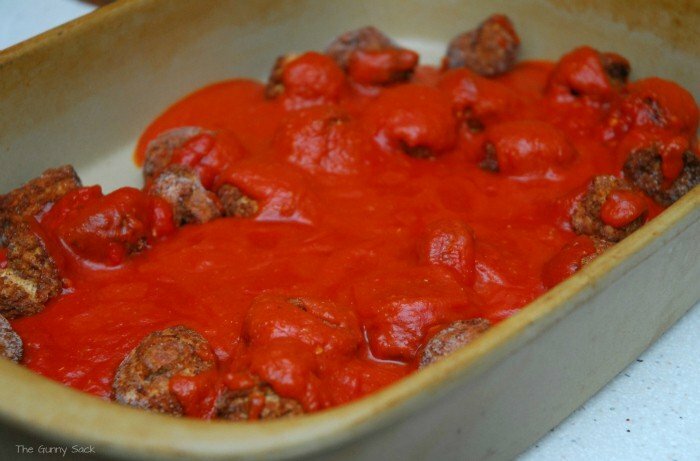 Pour frozen Italian style meatballs into a greased pan and cover them with your favorite sauce. Bake according to the instructions on the package. My packages said to bake them at 350°F for 20-25 minutes. 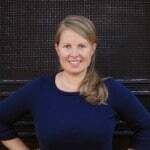 Another option is to use a slow cooker. I am not always very good at planning my meals ahead of time. I decided to have these for dinner about 1 hour before it was time to eat. When you remove the meatballs from the oven, leave it on. Split open fresh brat buns (I picked these up from the bakery of my local grocery store) and line up meatballs on the buns. I put four on each bun. Then, top the meatballs with additional sauce. Top the meatballs with shredded cheese and put the pan into the oven for about 5 minutes or until the cheese had melted. Add some chips and a salad and dinner is done! I also made some pizza subs at the same time. 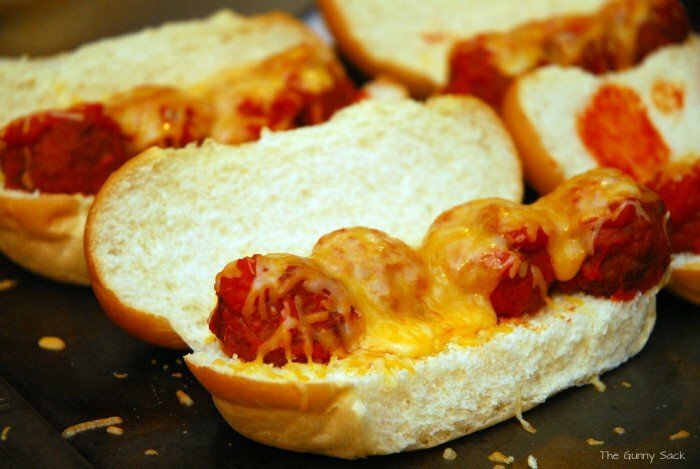 To make the pizza sub, I lined up pepperoni on the brat buns and topped the pepperoni with some of the marinara sauce. I put shredded cheese on the sauce and sprinkled on some oregano. I baked the pizza subs right along with the meatball subs until the cheese had melted. Such a nice dish. I see that you should tried to used swedish meatball since they start pulling in more of the delicious flavor when they are in sauce. This looks like a great idea! I’ve found, though, that these meatballs give off a lot of grease when they’re cooked. So I’ll continue baking the meatballs on racks put on cookie sheets in the oven, then blotting them off before adding them to the hot pasta sauce. Hope you are better soon ! Hope everyone is starting to feel better! It took us a while to get over it here. I hope you are feeling better now…the flu is never fun. My slow cooker never gets used because I’m not very good at meal planning. I do love a meatball sub covered in melty cheese though!!! Oh no! I hope you get some rest & feel better!! Frozen meatballs are one of my go to easy dinners. But we always have it with spaghetti – I have to try this, it looks so good! Thanks Stephanie! We are working on getting better! I love subway and these look fantastic! The melted cheese… goodness! Thanks Ling! It is still making it rounds but hopefully it won’t be long! Oh! Hope you feel better soon. I’ve so many students sick right now and am trying to douse myself with hand sanitizer often. Love the dish! Thanks Jane! We are on the mend…slowly but surely!